Thermal imaging is a technique that some home inspectors have started including with inspections. Infrared imaging is used by home inspectors to detect areas with uncharacteristically low temperatures or those with abnormally high thermal energy. Critical errors in mechanical, structural, and electrical systems in the house can only be detected through thermal imaging. Continue reading to learn about thermal imaging during home inspections and how the technology can be used to enhance the inspection. Thermal Imaging During Home Inspections: Is it Important? Thermal cameras are used to take images that show the level of thermal energy that an object or area emits. Revealing the thermal condition throughout the home is important since the homeowner can learn whether the systems are working as they should or if they are malfunctioning. Inspectors who use thermal imaging during home inspections produce more accurate and detailed home inspection reports. These inspection reports include some infrared images indicating changes in temperature that are not visible to the naked eye. Significant variations in thermal energy are an indication of possible underlying issues that should be resolved. 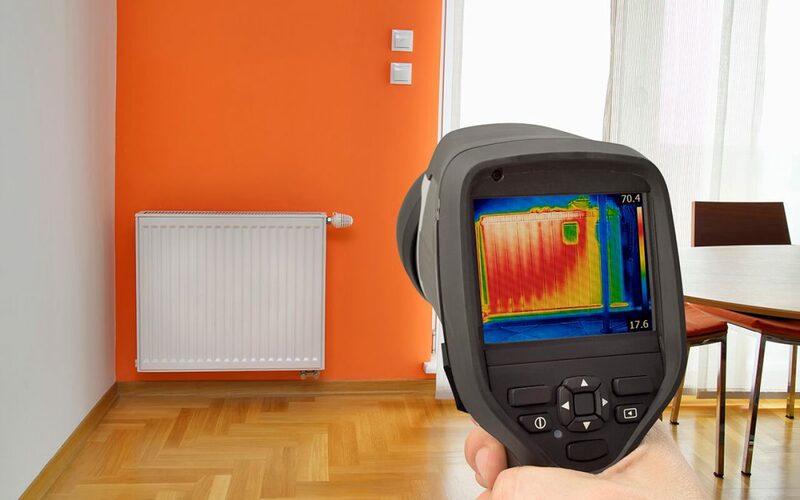 Thermal imaging during home inspections is used to spot problems in a house such as overheating electrical systems, excess moisture, poor insulation, air drafts, and plumbing leaks. Ideally, electrical systems should read as a uniform thermal block when viewed with a thermal camera. A brighter spot on the infrared image could signify an electrical hotspot. Electrical hotspots are serious because they can lead to house fires if not repaired. Excess moisture and water damage are unwanted by all homeowners. Most excess moisture and water issues go undetected until considerable damage is visible. This is where thermal imaging is useful. Excess moisture problems show up as abnormally cool areas in infrared images. For example, thermal imaging can be used to identify the source of water that is contributing to mold growth in a home. Owners of poorly insulated homes lose a lot of electrical energy as they attempt to maintain normal room temperatures. During the summer, cool air finds its way out of the house through gaps and the air conditioning system will use more energy to maintain comfortable temperature conditions. During the winter, cold air will get into the house making it difficult to maintain comfortable temperatures in the house without your heating system working overtime. Thermal imaging during home inspections offers deeper insight into possible issues that are affecting energy efficiency inside the home. While home inspectors cannot see through walls, infrared images are useful in providing detailed information about your home. Hire a home inspector who offers thermal imaging to get more information in your home inspection report. Robertson Home Inspection includes thermal imaging during home inspections as needed. Contact us to book your inspection.